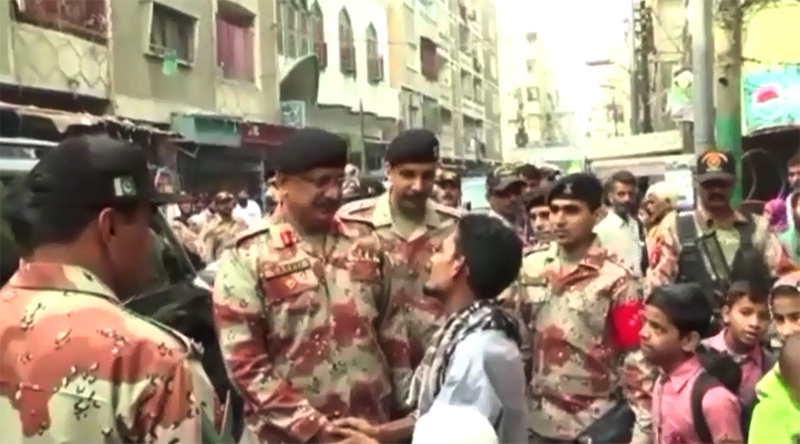 KARACHI (92 News) – DG Rangers Sindh Maj Gen Muhammad Saeed visited different areas of Lyari and discussed law and order on Friday. He visited Nawan Lane, Miran Naka, Gabol Park and Cheel Chowk and talked to elders. The Sector In-charge briefed him about the recent activities in Lyari. The DG Rangers appreciated the officers and jawans on the killing of notorious gangster Baba Ladla. Addressing the officers, he said that there was no room for criminals in Lyari. “Teachers and elders should play their role for law and order,” he said. The DG Rangers said that it should be ensured that no gangwar ringleader should form his gang in the area.